Gail and Ronnie are natives of Sanford, NC. They are honest, caring, sincere people who love helping families in their time of need. They have three children, Michelle Wilcox of Vass, Mike Cox of Goldsboro and Greg Cox of Florida. They love spending time with their family, fellowshipping with their church family at East Sanford Baptist Church, and spoiling their four granddaughters, Brittany, Skylar, Ashlyn and Courtlynn and two grandsons, Jaxon and Michael Cox. Gail worked in banking for 30 years and Ronnie retired from Fort Bragg. Their hope for Cox Memorial Funeral Home & Crematory is that the families of Vass and the surrounding areas know that they are here to assist in any way possible and to offer professional and honest services. Cox Memorial mission statement "Serving GOD, by serving families in a time of need." To treat your family as if they were our very own. 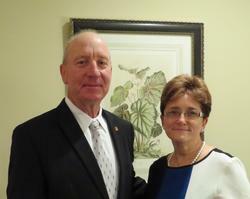 Danny A. Creech serves Cox Memorial Funeral Home & Crematory as their Vice President/General Manager. With over 22 years experience and his accomplishments in the Funeral Industry, Danny is a true asset to Cox Memorial Funeral Home. Danny attended mortuary school at Fayetteville Technical Community College. He graduated in 2001 with highest honors, having maintained straight A’s and a perfect grade point average throughout college. Because of outstanding scholastic achievements and success, Danny was inducted into the F.T.C.C. Chapter of the National Vocational Technical Honors Society on April 26, 2001. He also received the United States Achievement Academy All American Collegiate Scholar award. His name and achievements were included in the All American Scholars 2001 Collegiate Directory. 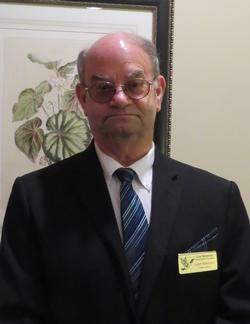 Danny received his license from the North Carolina State Board of Funeral Service in October of 2001. Danny is a native of Clinton, North Carolina. He is married to Karen Boyette Creech and they have one son Rev. Matthew Creech and wife Lindsay. They attend Hickory Grove Baptist Church where Matthew serves as Senior Pastor. "Serving GOD, by serving families in a time of need." Ronnie and Gail are natives of Sanford, NC. They are honest, caring, sincere people who love helping families in their time of need. They have three children, Michelle Wilcox of Vass, Mike Cox of Goldsboro and Greg Cox of Florida. They love spending time with their family, fellowshipping with their church family at East Sanford Baptist Church, and spoiling their three granddaughters, Brittany, Skylar, Ashlyn and Courtlynn and two grandson Jaxon and Michael Cox. Gail worked in banking for 30 years and Ronnie retired from Fort Bragg. Their hope for Cox Memorial Funeral Home & Crematory is that the families of Vass and the surrounding areas know that they are here to assist in any way possible and to offer professional and honest services. Cox Memorial mission statement "Serving GOD, by serving families in a time of need." To treat your family as if they were our very own. Chad Jones is a resident of Vass, North Carolina. Chad is a graduate of Union Pines High School, served in the United States Marine Corps prior to receiving a degree in Funeral Service from Fayetteville Technical Community College and has extensive experience in the funeral service profession. He is the son of Ron Jones of Pinehurst and Cheryl Futrell of Vass, and the grandson of Betty Lou Rogers of Sanford. Chad attends Jonesboro Heights Baptist Church in Sanford. Chad looks forward to serving Moore County and the surrounding area. Donna serves Cox Memorial Funeral Home and Crematory as an administrative assistant. She is a native of Moore County and the daughter of the late J.D. and Pauline Medlin of Vass. She is the proud mother of one son, Evin and daughter-in-law Chelsey. She also has one precious grandson, Tatum. She loves the Lord and currently attends Community Congregational Church in Southern Pines. She looks forward to serving the community through Cox Memorial Funeral Home and Crematory "Where You're Treated Like Family. David and Wanda Cummings serve Cox Memorial as Funeral Associates. Married on June 25, 1972 they have both lived in Vass all of their lives. They have two daughters and four grandchildren. David and Wanda are both retired members of Vass Rescue Squad. They are members of New Home Baptist Church. Wanda is employed at FirstHealth Family Care of Carthage where she has served as a nurse for over 25 years. David is a retired farmer. We are glad to have them helping us as we serve families in Moore and surrounding counties. Larry is a native of Moore County. He has joined Cox Memorial as a Funeral Associate. He is a member of First Pentecostal Holiness Church in Aberdeen and has one daughter, April and one granddaughter, Seraphim.